TOLIP sport city resort and spa is a unique property managed by TOLIP company In Egypt located in New Cairo district close to one of the most demandable business area in Cairo features wide range of international companies and shopping malls ,only 15 minutes driving to Cairo International Airport . 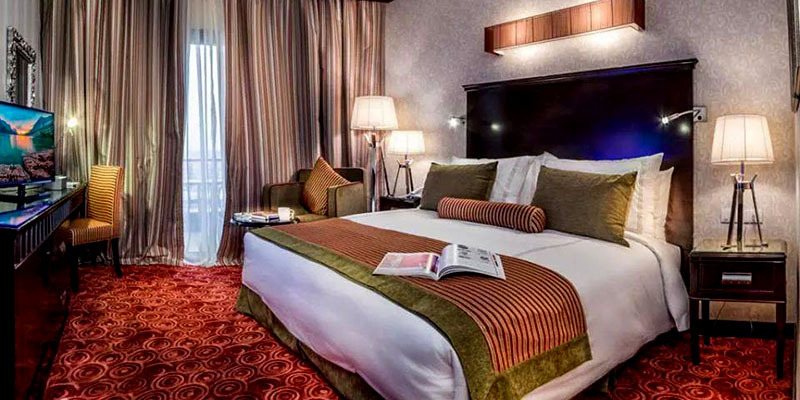 Our 5 Star resort encompasses 158 rooms and suites feature modern design a wide variety of specialized restaurants, featuring International, Lebanese, Italian & Oriental Cuisines. 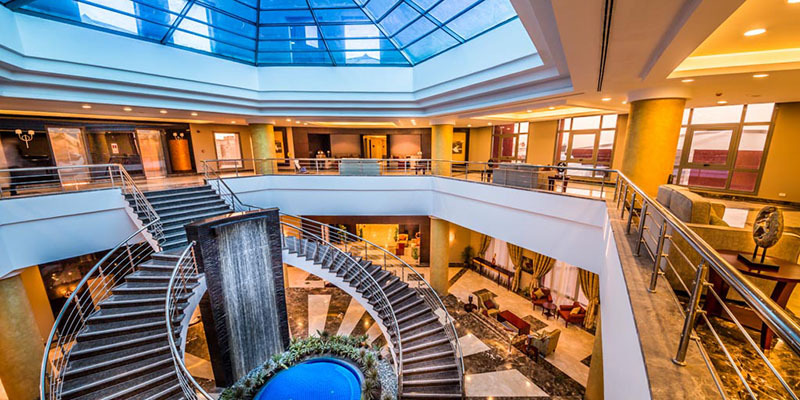 The resort has its own outdoor Swimming Pools, fully equipped Health Club, Spa, Magnificent Aqua Park, in addition to seven fully equipped meeting rooms accommodate from 10 to 600 people and outfitted with the latest modern audio-visual equipment. Hotel Present 9 conference and banqueting rooms with huge meeting space. 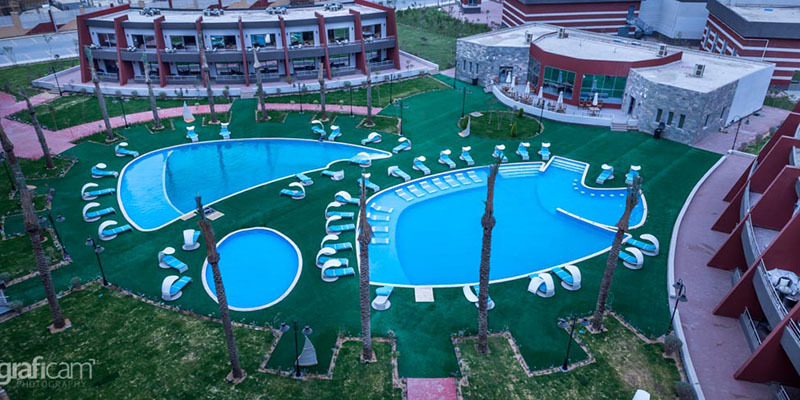 We have big aqua park with 10 pools serving the hotel guests, Huge room for single sports,3 Football court , main restaurant,pool bar,lebanise restaurant and many academies for sports and arts. Spa center , Squash court ,tennis court,tennis table court, cinema children play ground and open area restaurant with shisha corner. Offering a unique Oriental style where you can enjoy the best selection of Lebanese cuisine while listening to the oriental music. Our open buffet restaurant at the culture building, where you can enjoy the original taste of the Egyptian food. Chill and relax at our snack bar located at the garden, offering light snacks and beverages.